In 1850, P. T. Barnum coaxed thirty-year-old Jenny Lind out of retirement for a grand tour of the United States. That tour, which earned Lind over $350,000, caused a popular sensation and exposed the potential force of the burgeoning American mass market. It also generated its share of souvenirs for her adoring public. Besides dozens of pieces of sheet music bearing her likeness, we also have a framed Daguerreotype of the Swedish songstress with a ticket to the June 20th, 1851, concert. 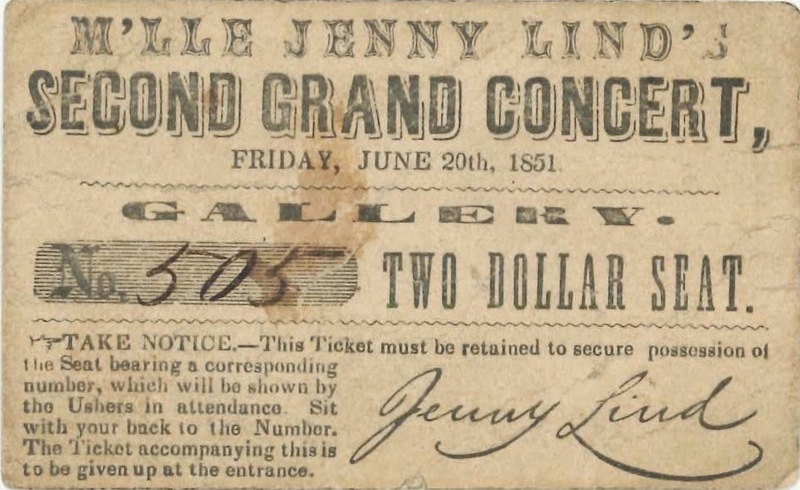 Even the abolitionist singing group, the Hutchinson Family, tried to cash in on her fame with their "Welcome to Jenny Lind." Sung "on the occasion of her visit to America," it was quickly issued as sheet music (Boston: Oliver Ditson, 1850). To see the Daguerreotype and ticket, ask for Iconography 292. 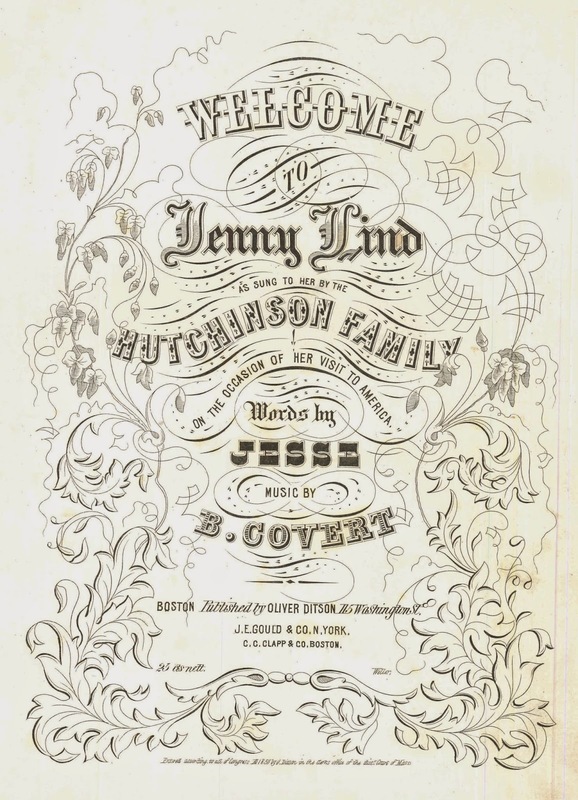 To see "Welcome Jenny Lind," ask for Sheet Music HF 73.